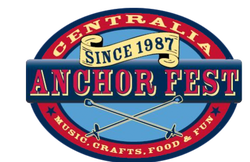 The Centralia, Missouri Annual Anchor Festival returns next year from May 31 through June 2 and as always, promises to be one of the best regional festivals or fairs of the summer! Traditionally held the weekend after Memorial Day it's a great time of year to kick off the summer and have fun enjoying the rides, great food, funnel cakes, arts and crafts and of course live music. And what would a mid-western fair or festival be without a parade of high school bands, local organizations, tractors and classic cars. Check out our Anchor Festival Facebook page for more information, lots of great photos and video and then mark your calendar to come out next summer. Many people aren't quite sure what the "anchor" is, many think it's for a boat. Those in the area know what the "anchor" is, but just in case, this is an example of a Hubbell Anchor used in the electrical industry.